To prolong the life of your heater and save up to 30 percent on your energy costs we recommend a yearly furnace cleaning and inspection by a licensed Heating and Air Conditioning professional. Call 215-368-7424 today for a free estimate of any of our installation services, or for today's oil delivery price, schedule service or new customer set up or questions. RYDAL FUEL HEATING & AIR CONDITIONING offers full-service fuel oil delivery, central air conditioning systems, heater service contract, and heating systems for gas, oil and propane as well as oil tank installations and removal, conversions from oil to gas, ductless air mini splits that will be good for your budget, radiant heating to enhance your comfort level, conventional and tankless hot water heaters, air cleaners and humidifiers - all at competitive rates! You can count on us to install this equipment in your property. Check out our testimonial page now and read what our clients have to say about our company. We have garnered many positive remarks regarding our products and services. RYDAL FUEL Heating & Air Conditioning is a locally owned business serving the following towns in Montgomery, Bucks, and Philadelphia Counties since 1981, including Rydal, Lansdale, Glenside, Abington, Willow Grove, Horsham, Montgomeryville, Harleysville, Kulpsville, Hatboro, Maple Glen, Souderton, Ambler, Plymouth Meeting, Blue Bell, Oreland, Wyndmoor, Ft. Washington, Collegeville, Telford, Flourtown, Jenkintown, Spring House, Skippack, Hatfield, North Wales, Wyncote, Bryn Athyn, Huntingdon Valley, Elkins Park, Dresher, Chalfont, Warminster, Warrington. Our personalized priority service, dedication to detail and fair pricing is what separates us from the competition. Our professional techs are committed to working hard for our customers 24/7, and emergency service is available. All services are done by trained and experienced Rydal Fuel Certified Technicians, and we service all makes and models. Rydal Fuel is fully insured and registered as a Pennsylvania Home Improvement Contractor Registration #PA059137. You can be assured that your Heating & Air Conditioning needs are in good hands, from our family to yours. Your comfort is our mission. 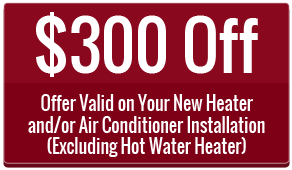 We look forward to serving all your Heating and Air Conditioning needs. Please contact us anytime with any questions you may have.